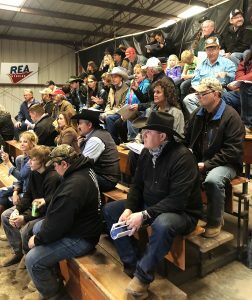 PRCA Commissioner Karl Stressman was a celebrity guest for the April 30 Cowboys for Kids stick horse races in Alvarado, Texas. All proceeds from the event go to the Children’s Advocacy Center of Johnson County, which assists child victims of sexual abuse, severe physical abuse and child witnesses to homicides and other violent crimes. 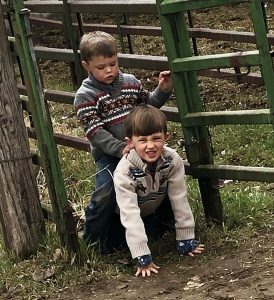 During the event, rodeo clowns and celebrities interacted with the kids (ages 10 and under) as they competed in several rodeo events while riding their stick horses. 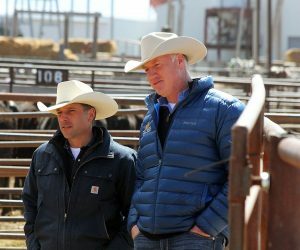 “Besides being an unbelievable cause, it gives all of us who participate an opportunity to see some of our great old friends, from world champion cowboys to the best of Hollywood and everyone in between – all there for the right reason, to support the kids,” Stressman said..
Man in the Can, the award-winning rodeo documentary by filmmaker Noessa Higa, is having a DVD launch party in Llano, Texas, June 4 from 11 a.m. to 2 p.m. at Main Street Affairs. The film follows aspiring rodeo clown and barrelman Ronald Burton and also stars PRCA announcer T.C. Long and Aaron Enget, Director of Rodeo Administration/COO at the PRCA. The limited-edition DVD will be available at the launch party, and at the Llano Rodeo June 3-4. All are welcome to get a DVD and meet the star, Burton, and filmmaker, Higa. For more information, go to http://www.maninthecanmovie.com. Gene and Julie Haffner have been named the grand marshals for the 95th annual Greeley (Colo.) Stampede. 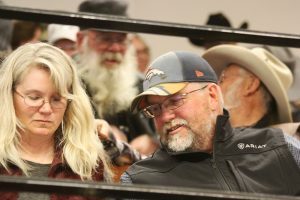 The Haffners have been part of the Northern Colorado community for more than 40 years, and are involved in many charities, as well as big supporters of the rodeo. This year’s Ellensburg (Wash.) Rodeo poster is now available at the rodeo’s ticket office. A public voting process led to the selection of Marty Stingley’s photo titled “Introducing the Rising Stars.” The photo depicts bucking horse mares running across the Ellensburg Arena at the 2014 rodeo, their colts close by their sides. Non-commercial fireworks are now banned at Dacotah Centennial Park, home of the Mandan (N.D.) Rodeo Days, due to a new ordinance passed by the City of Mandan. “We want our rodeo contestants to know that this nuisance has been banned by the city and this year’s rodeo should be much safer for everyone,” Rodeo Chairman Bruce Shirado said. The action was taken after members of the Mandan Rodeo Days committee and others voiced their concerns over uncontrolled fireworks to the city council. New metal lettering that reads “World’s Oldest Rodeo 1888” now stretches across the top of the Bashford-Burmister buildings in downtown Prescott, Ariz. Punctuated with cowboy stars on both sides, the permanent installation is a nod by the buildings’ owners to Prescott’s rich history. “I wanted to do something for the downtown that honors its history and promote something that has been going on for as long as those buildings have been there, which is, of course, the ‘World’s Oldest Rodeo,’” said Cliff Petrovsky, managing owner of the buildings. 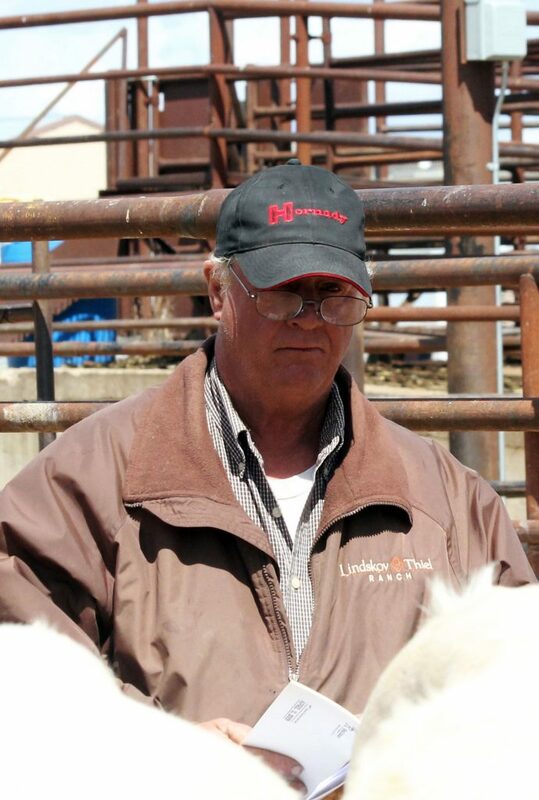 The North Dakota Cowboy Hall of Fame announced its 2016 inductees April 30, and the class includes PRCA Gold Card members Monty Carson, of Grassy Butte, N.D., and Ed Sundby of Minot, N.D. The induction ceremony begins at 1 p.m. June 18, at Chimney Park in Medora and is free and open to the public.